Total darkness can be preferable to bad lighting, which is why KAI Tsugaru, a hot-spring ryokan in northern Japan, lights the way to guest rooms in local fashion. 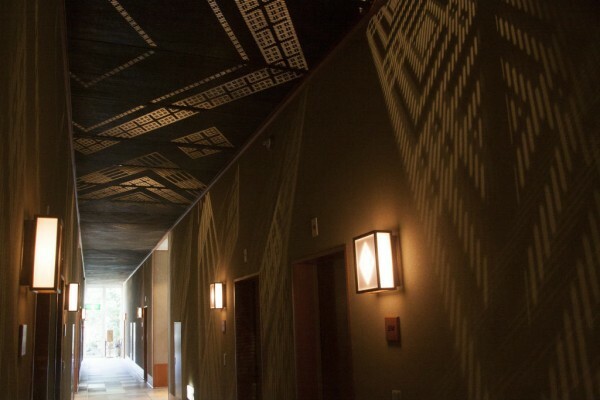 Ceilings are lined with panels that embrace designs and motifs used in Kogin-zashi, the region’s traditional needlework style. Copyright © 株式会社小倉内装 All Rights Reserved.